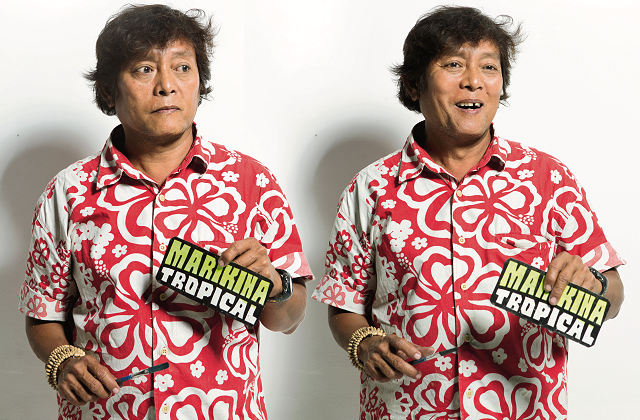 Known as the king of vehicle signage in the Philippines, Philip Rosales is the man behind hand-painted signs of popular destinations in the Philippines such as “Ayala, Ibabaw” and witty business establishment sayings like “Kalimutan ang lahat, huwag lang ang bayad!”. In his interview with Entrepreneur, Rosales revealed that he was once an architecture major at a Cebu-based university when he decided to explore opportunities in order to earn income. He wasn’t able to finish his studies as he focused in working as draftsman. In the late 1980s, Rosales looked for other ways to earn money. As an artist, he decided to make a living as an artist-for-hire accepting jobs like painting backdrop at the Cultural Center of the Philippines or painting artwork for a major mall. Because he earned well from his gigs, Rosales opted to freelance full-time. Aside from painting services, he also offered silk-screening and calligraphy services at shops along Recto Avenue. Indeed, Rosales got to experience becoming a full-time entrepreneur. However, when digital printing came into the scene, Rosales business’ lost 75% of its income. This pushed him to explore another business opportunity. Now 54 years old with a family support, Rosales makes signages for public and private vehicles. For the past 17 years, a logistics company has contracted out jobs to Rosales. “Frustrated architect, pero masaya ako sa ginagawa ko. Minsan may problema, pero lumulusot. Basta makita ko na masaya ang pamilya ko, okay na ako,” Rosales told Entrepreneur. Aside from running a business, Rosales still accepts commercial art job and teaches drawing. He also took part in “Project Para Boss” which is a movement to help sustain the craft of local signage printing industry.